A chance to get a close wondrous wildlife encounter give these Bali zoos thus made it to the top 3 lists. Bali zoos are playing an important role in keeping some of the world's most endangered animals alive. Here's Sorga Bali Tours pick of the Island's best 3 zoo experience. Bali Safari and Marine Park is most popular zoo park which existed in Bali paradise island with interesting zoo packages collection, located in east side of Denpasar city (Capital city of Bali). 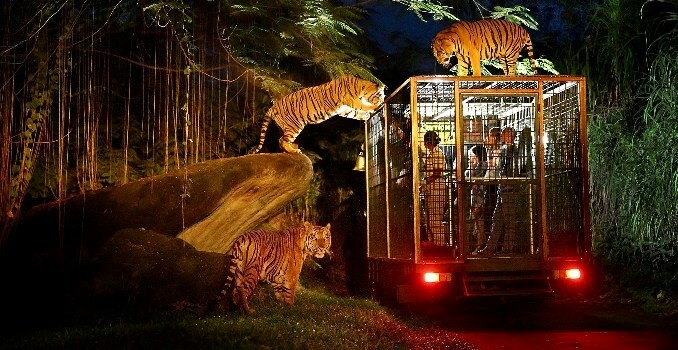 This zoo park is a newest establishment of world famous "TAMAN SAFARI INDONESIA", a name that has been well-known for over 20 years in efforts to conserve nature and business of recreations. 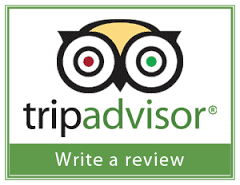 This also applies where Bali Safari and Marine Park is an art zoo innovation to provide a series educational activities for all visitors, also provide chance to all tourists in meetings up close with wildlife animals. And in its formation reviving an atmosphere a legend situation among humans who are so close to the natural environment, in this case with wildlife habitat that forms in beautiful 40 hectares landscape area. Bali Safari and Marine Park invites you to finding a unique journey legend in between humans and animals. 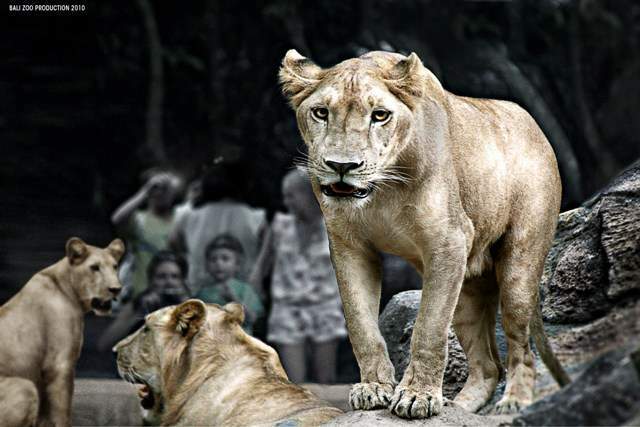 Bali Zoo Park is the first and only one zoological park in bali, where you can learn about behavior more than 450 rare and exotic animals in a natural environment, with lush tropical atmosphere. In addition to study and understanding the behavior of animals, this place is also a park where you can participate in adventure activities of interesting animals. Enjoyed food dishes within just a few meters from king of jungle or participate in trademark Mahout for a day at Bali zoo park. "ANAK AGUNG GDE PUTRA", who has a great desire in history of bali zoo park formation. Beside that, Bali zoo park also as animals conservation place, with its vision and mission as a very useful place for learning, especially for young generations and tourists who come to visit this place. As well as knowing more closer about behavior of all types wild animals that found in renowned captivity place of bali zoo. Sumatran elephants, Sumatran tigers, Orang utan, Sun bear, Binturong (Bear cat asia is the same species as weasel ), Sinyulong (freshwater crocodile) and varieties of birds as well as many other interesting species. Deer, Cassowary (bird third-highest and second heaviest on the planet) and Orang utan are first animals owned by Mr. Anak Agung Gde Putra in early formation of Bali Zoo. Bali Bird and Reptile Park with its presence as one of favorite zoo, which is the only one famous bird park with thousands complete interesting birds species collection also reptile park that existed on Bali paradise island. Beside of its uniqueness, this place is also very interesting to be visited with the existence thousands diverse of birds collection, from various species more than 250 variations of birds from around the world including Indonesia. Bali bird and reptile park is one of most innovative ecotourism places, which more than 20 years has had an improved experience that committed in the preservation, conservation and breeding in protecting and conserving endangered species in Indonesia. 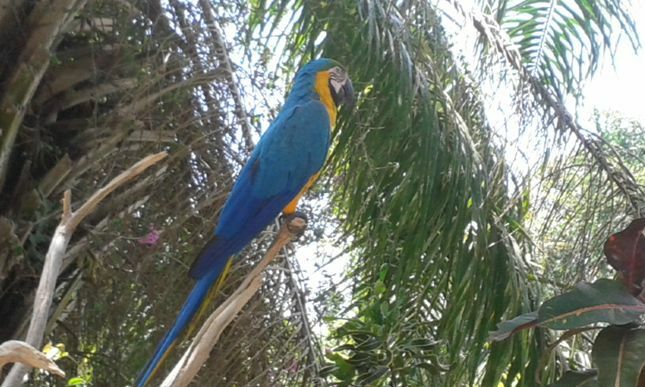 This zoo is also successfully in breeding many species of birds, including Pesquet's Parrot and Bali Starling are bred primarily to support local broadcast program. In addition, Bali Bird Park has been home to more than 40 different bird species, that are protected in Indonesia and other exotic of bird life from around the world. Can't wait to bring your whole family along to visit these amazing zoos...? Get the best deals with Sorga Bali Tours !. For detailed Information and Booking Bali Zoos tour package please "CONTACT US" Sorga Bali Tours (Best Bali Holiday Packages).